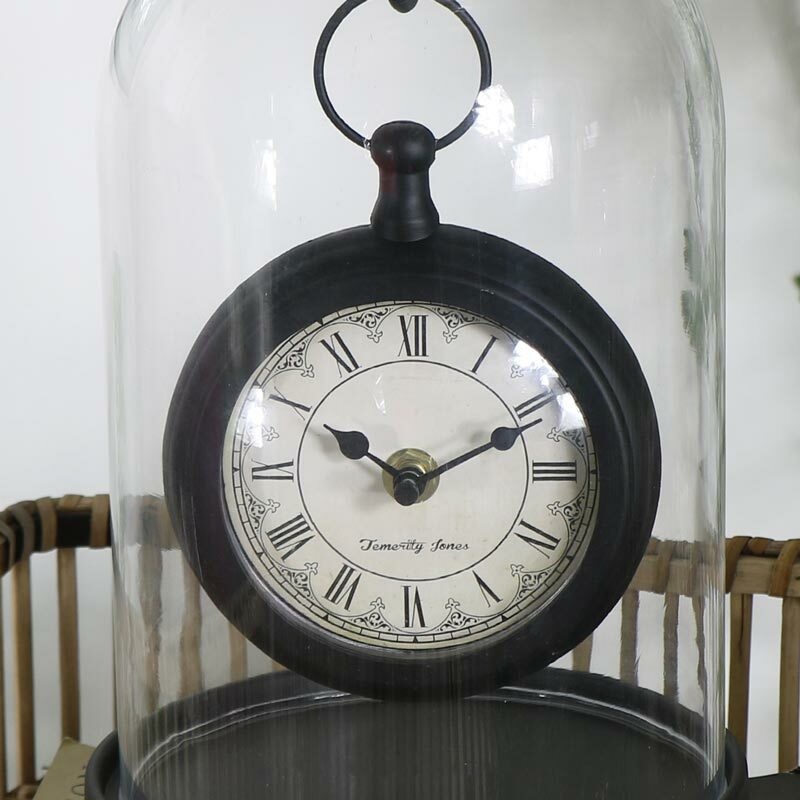 Beautifully vintage pocket watch style clock suspended in a glass cloche dome. Roman numeral display against a white clock face. The perfect timepiece for displaying on a mantelpiece in the living room. A striking design that is perfect for placing centre stage on a mantelpiece. 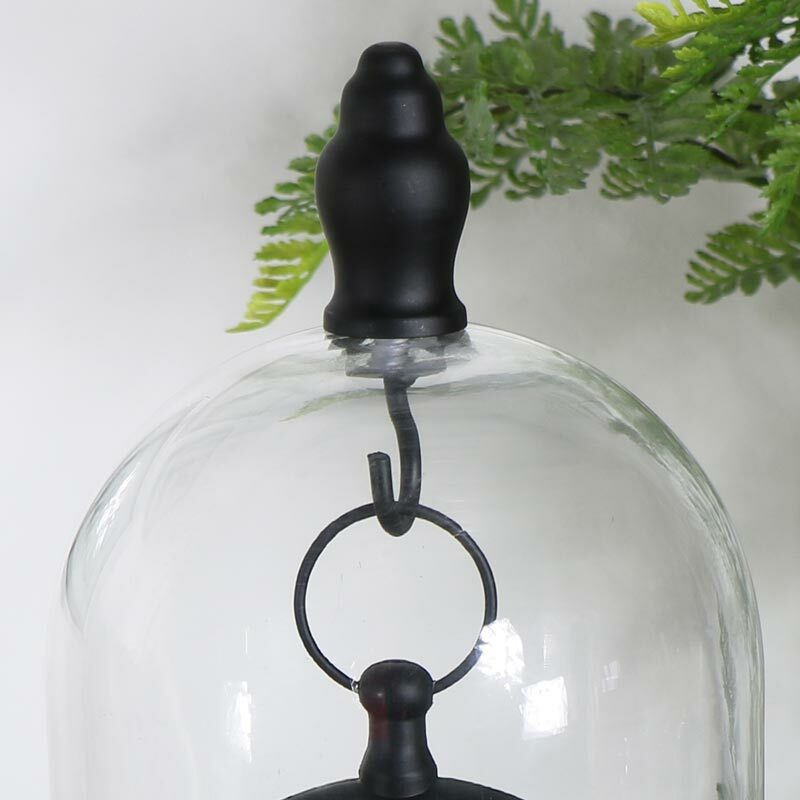 The pocket watch style clock is suspended from a hook inside the dome and protect by the glass case. Stunning clock that is very reminiscent of the enchanting Beauty and the Beast story, with the clock protected by a glass dome. 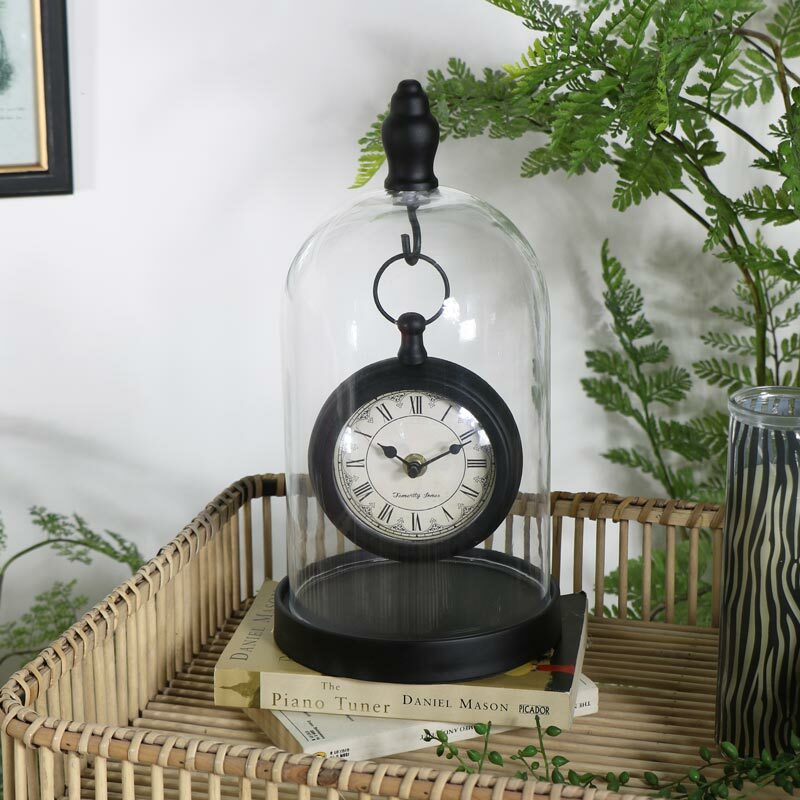 Beautifully vintage pocket watch style clock suspended in a glass cloche dome. Roman numeral display against a white clock face. The perfect timepiece for displaying on a mantelpiece in the living room. A striking design that is perfect for placing centre stage on a mantelpiece. The pocket watch style clock is suspended from a hook inside the dome and protect by the glass case. Stunning clock that is very reminiscent of the enchanting Beauty and the Beast story, with the clock protected by a glass dome.